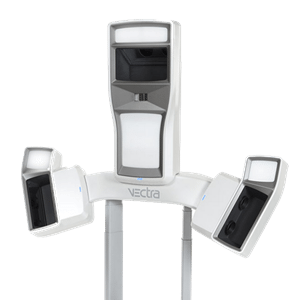 We are excited to announce that Dr. Colgrove & Vinings Surgery Center now use VECTRA 3D imaging system to provide our patients with a real life view of their plastic surgery procedure. Using this system, we take a three dimensional photograph of your body prior to surgery. Then, using VECTRA’s software simulation tools, we can create 3D representations of how you could look after surgery. This allows you the opportunity to preview various surgical options, and decide on the procedure that best suits your personal goals. Try it now for your body! Once you have decided on the appearance you want, this simulation will provide a basis for your surgical plan. Because you have already seen the potential result, you can be confident in the outcome of the procedure. VECTRA 3D simulation technology that will be used by your doctor was developed by Canfield Imaging Systems. Canfield specializes in photographic applications for aesthetic medicine, and their products are used in patient consultations by thousands of practitioners worldwide. The three dimensional photograph is processed by Sculptor software to display the virtual model on a computer monitor. It can be rotated on the screen and viewed from almost any angle. The software then allows your doctor to apply simulation tools that change the size, shape, and position of your breasts to achieve the desired appearance. Once you are satisfied with the result, your doctor will develop a surgical plan based on the changes you have made. Yes. You will be able to see how you would look with different sizes and types of implants. You will also be able to see the possible benefits of a breast lift in conjunction with the augmentation. You doctor will discuss the possibility of scarring or any other effects from the surgery.